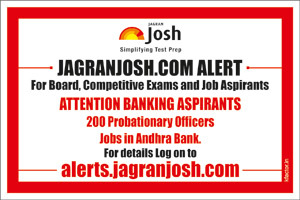 Andhra Bank invited application from eligible candidates for 200 posts of Probationary Officer. The eligible candidates can apply online in the given prescribed format on or before 01 December 2015. Andhra Bank Job Notification: Andhra Bank invited application from eligible candidates for 200 posts of Probationary Officer. The eligible candidates can apply online in the given prescribed format on or before 01 December 2015. Number of Posts: 200 posts. Degree (Graduation) in any discipline from a recognized University OR any equivalent qualification as such recognized by Central Government. Gen: 20 - 28 years. SC / ST: 5 years relaxation. The eligible candidates can apply online in the given prescribed format on or before 01 December 2015.